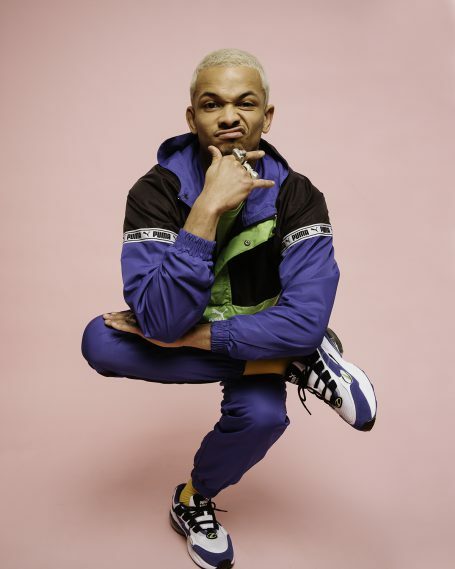 Sports brand PUMA announces today a long-term partnership with the multi-talented singer and sports star Ben Cristovao. Ben will start working on campaigns with PUMA immediately, appearing in three videos that capture his diverse range of skills. Ben is the ultimate PumaMan, embodying all of PUMA’s values. Not only is he an influential voice in the music industry, he is also a badass sports man. The focus, strength and discipline needed to master a martial art like Brazilian jiu-jitsu mixed with the creativity and talent it takes to become a music icon makes Ben an ideal role model for a lot of people. Ben and PUMA have been working together to produce three videos and a photoshoot that shows Ben tackling different life situations. The videos were recorded on 16mm film tape, resulting in a retro vibe, and Martin Stransky was brought in to do the voiceover. This project gives Ben the opportunity to showcase attributes and skills that most fans don’t realize he possesses. “Ben is an inspiring individual. His relentless creative drive and passion for life are what make him a perfect PumaMan. It has been an amazing experience collaborating with him on this campaign and we know it will motivate and encourage millions of people around the world to keep fighting for their dreams and live their life to the fullest, which is exactly what PUMA is all about,” says Adam Petrik, Global Director for Brand and Marketing for PUMA. Please follow @PUMA Facebook, Twitter, Instagram and Snapchat for more inspiring stories.